August 2016 | Holy Snails! Disclosure: I got this for free, along with all of its trumped up brethren, from a booth at Cosmoprof. So this is a press sample. #motd was Missha 3D Red Ginseng Sheet Mask. So so awful. Fit was terrible. "3D" meant a seam right down the middle of my face, which means that whole area just lifted up. Nose piece was so long. Really dry mask too, started peeling away from my face just minutes in. Threw it away after 5 minutes. Just awful. 1/5 #kbeauty #bbloggers #rasianbeauty Update: Ok, I'm breaking out in a bunch of tiny cc's and little red bumps.... This is officially the worst mask ever. 0/5! Same as the old boss with its scratchy pulp, but this won't even fit on human faces! Essence (what essence) is a spritz of water. 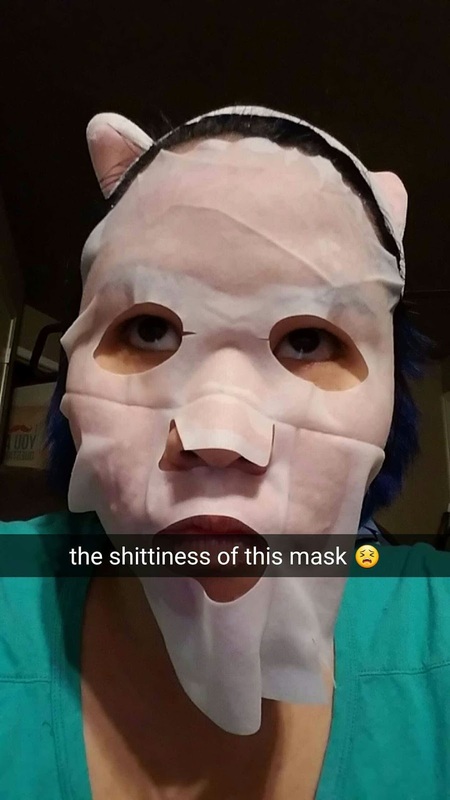 I tried to hold it against my face with my De-Shittifier Daiso Sheet Mask Cover, but the material was so thick and crazy, it felt so uncomfortable. I tried just holding my palms against my cheeks to keep contact, and it started falling off on other areas. Finally, I gave up 10 minutes in, too irritated to even grab a replacement mask. I could rant on and on about this mask, but I think it would only grow more powerful from it. I gave the Missha mask so much crap, but at the end of the day, it's a $1 mask. There are plenty of good $1 masks though, so being affordable isn't exactly an excuse to be crappy. 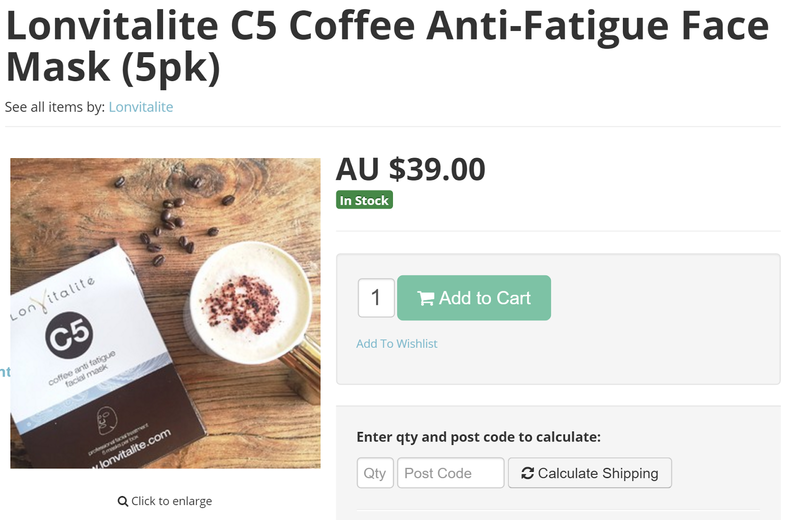 That's almost $8 for a sheet mask that I wouldn't pay $0.50 for. That costs more than Banila Co's luxurious Miss Flower & Mr. Honey hydrogel masks, almost as much as Whamisa's fancy pants hydrogels, still more than most L'Herboflore and Maskingdom masks I've seen even. And it's junk. This excited me at first, because I was touring through Cosmoprof (more on that later) and admiring all the international beauty brands. I got to see Brazillian sunscreen, Mexican hair care, Australian skincare, and more. It was a step outside of kbeauty (although Kbeauty was there too, and I was hyped!) 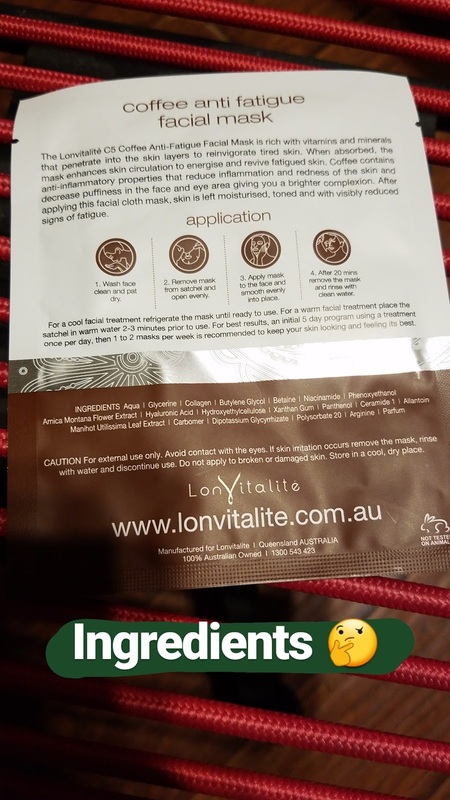 This is an Australian brand, and the ladies were absolutely sweet and doing free demos for eye patches (the gold hydrogel kind). For a cool facial treatment refrigerate the mask until ready to use. For a warm facial treatment place the satchel in warm water 2-3 minutes prior to use. For best results, an initial 5 day program using a treatment once per day, then 1 to 2 masks per week is recommended to keep your skin looking and feeling its best. My guess is they were copy & pasting ingredients lists and accidentally copied another one instead. I've done it, so I can't throw stones. Someone please tell me where the coffee is in either of them though. 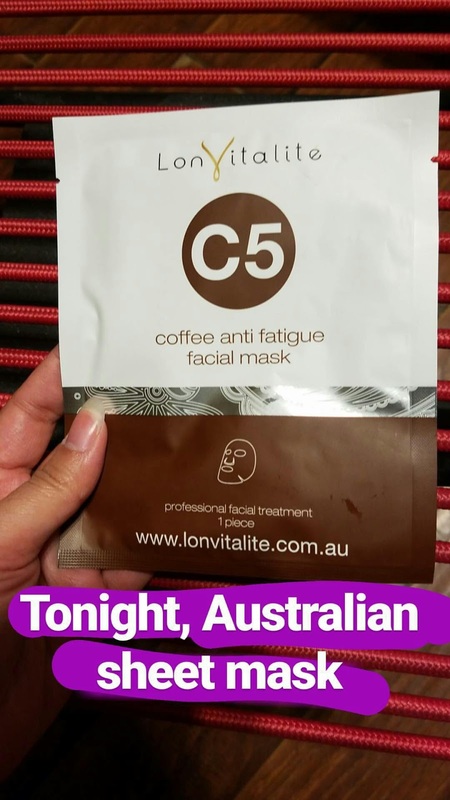 This sheet mask was the equivalent to going to what is advertised as a fine dining restaurant, waiting in line, sitting down, ordering the special, and being served microwaved "white fish" that was "seasoned" with salt and pepper.